Practical and compact the Chester bedroom range has earthy, organic oak tones. Finished in a hard-wearing lacquer which doesn’t compromise the simple look, this range is good looking and practical. 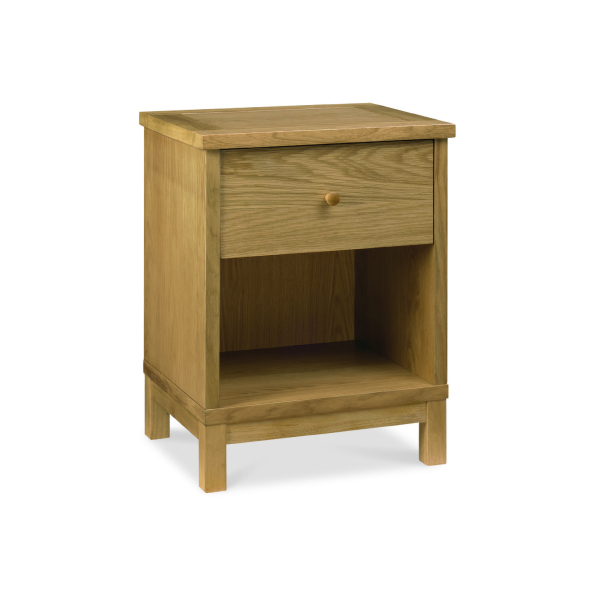 This one drawer bedside cabinet has great storage capacity whilst still looking cool and contemporary.